When deciding your kitchen layout, it is important to factor in where and how you plan to use the area, and how much storage you may require. The ultimate space-saver, straight line kitchen design layout, ideal for smaller spaces. An 'L' shaped kitchen design, ideal for maximizing corner layouts and eliminating traffic. The 'U' or horseshoe-shaped kitchen layout is ideal for maximizing cabinet and storage space. It also allows for excellent traffic flow and workflow. Decide how you'd like your counter-top to interact with your cabinetry and other kitchen features by selecting its profile. 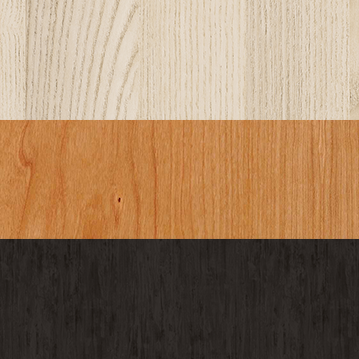 To accentuate your cabinetry, choose our thin line profile. Likewise, to draw attention to your stone finished counter-top, opt for the bar style profile. A standard profile helps to create a balanced design between cabinetry and counter-top. 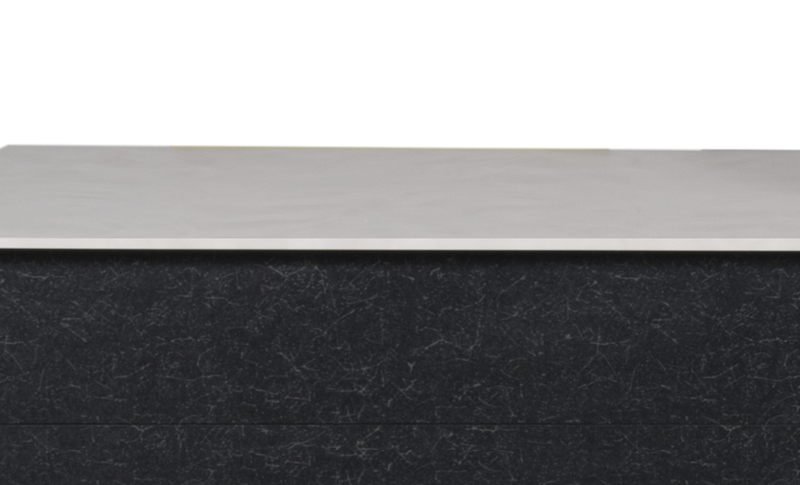 Our Thin Line series consists of a .5" counter-top profile. The standard 1" counter-top profile. 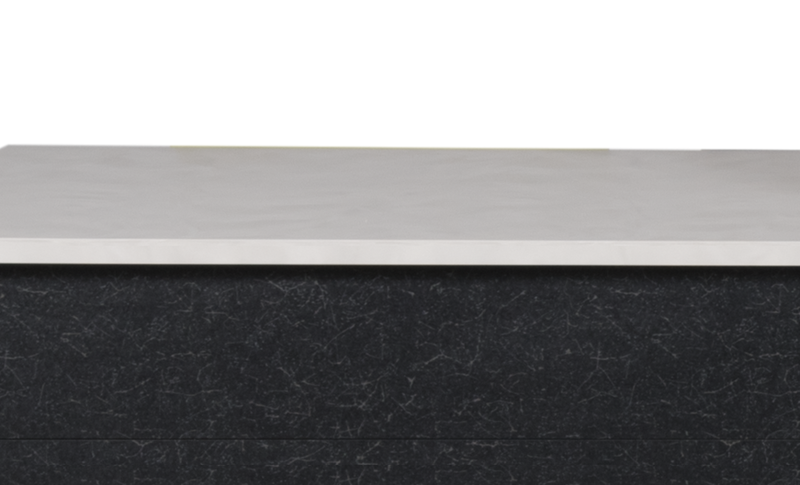 Our bar series consist of 3" or greater counter-top profiles. Design your kitchen with outstanding entertaining options. Create the perfect social setting for intertwining both entertaining and meal prep, while also maximizing space. Maximize your space and workflow by adding a dining table extension to your outdoor kitchen. This side by side extension makes it easy to cook and feast formally with interior-like elegance. The benefits of the interior kitchen options has now come outdoors. Choose from a variety of cabinetry options, inserts, drawer configurations and hardware to have the same functionality and elegance as that of the finest interior designed kitchens. 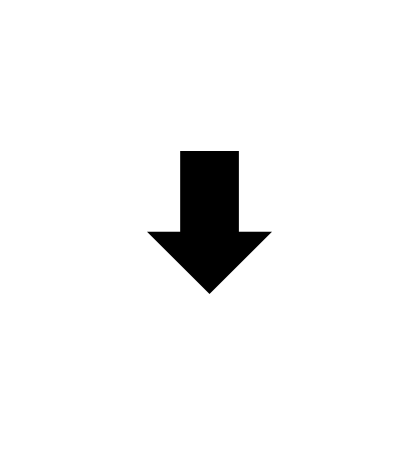 We've made the design process easier. We help take the guesswork out of designing your ideal outdoor kitchen, by using our complementary pairing system to see which finishes work best together. All of our counter-tops come with excellent cut, scratch and stain resistance to endure the most demanding of outdoor recreational activities. We offer 13 different counter-top finishes. Choose from a variety of wood finishes. Everything from light wood, warm wood to dark woods. Choose to have your toe-kick match your kitchen cladding to create a seamless top to bottom look. Other create some contrast with black or stainless steel.